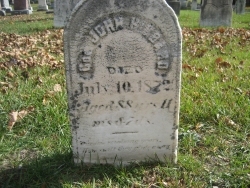 In Memory of Ahimaz Hebard Son of Mr. Paul Hebard & Mrs. Martha his wife He died December 17 1758. Angus Hibbard, as pictured on the back jacket of the book he wrote entitled, "Hello - Goodbye, My Story of Telephone Pioneering". Bernece Tucker, Herbert Freeman, Anna Freeman Tucker, Jennie Warrilow Tucker, Doris Tucker and Anna Bolles Hibbard Freeman. Birth Record of Sarah Ferguson Hibbard reveals birthdate as November 8, 1808 instead of August 8, 1808 as originally listed. Charles is seated in center (the man with the beard; wife Mary Jane, nee Riddle, is seated on the right. Their children are, from left to right, James Rice Hibbard (b. 1879), Lowell Earl (seated, b. 1868), Clark Dudley (b. 1877), Helen Louise (b. 1874), and Maude Lenore (b. 1871). The picture was taken in Wauseon, Ohio around 1890. Photo of Anna Bolles Hibbard Freeman's daughter, Anna Hibbard Freeman Tucker at the piano. She married Charles Tucker who is playing the violin. This newspaper clipping from November 22, 1917 courtesy of Eric Paoletti has the obituary of Cheric Adrial Hibbard listed without any mention of the name "Arthur". The source who sent this information has changed her email address and cannot be contacted. If you have information as to why "Arthur" may have been included as his possible middle name, please contact us. Alvah Daniel Slick, Esther (Hibbard) Slick, Daniel Slick. (in photo Ella Slick, died at 21 years in childbirth) other siblings are unknown to me at this time. Doris's handwritten recipe for shrimp gumbo. 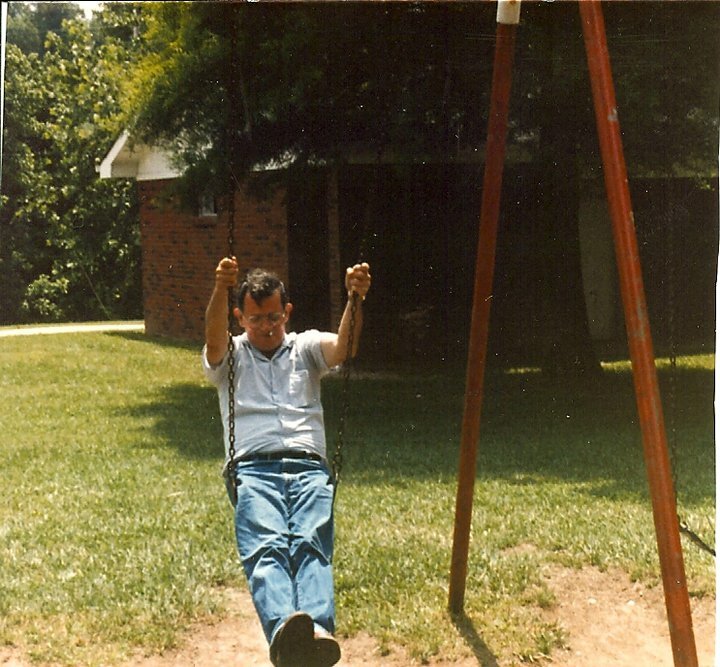 Estus Hibbard (1927-2000) Son Of Walter "Flit" Hibbard and Amanda "Mandy" Sams.